Website design for roofing contractors Chesapeake VA | Clark Roofing approached VISIONEFX to redesign their old site and to ramp-up efforts for online roofing inquiries and is is the 2nd redesign for Clark Roofing since becoming a VISIONEFX client years ago. VISIONEFX accomplished this by creating locally targeted pages for all specific services. 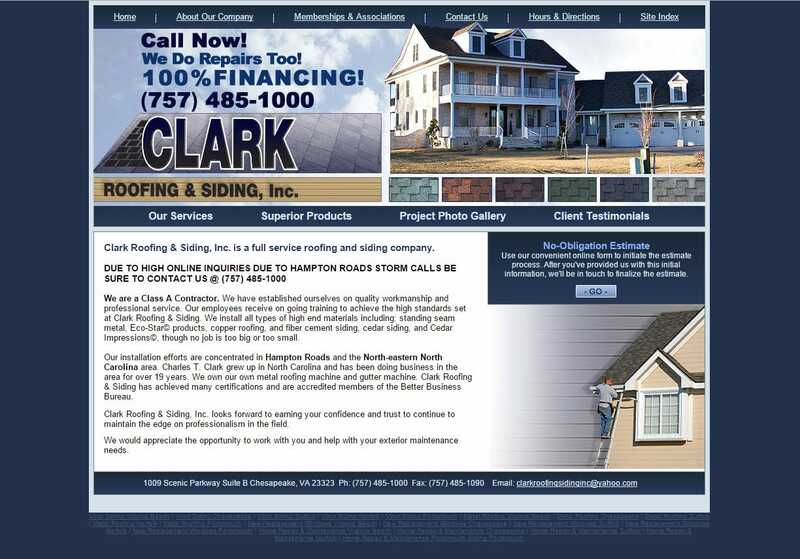 Clark Roofing has offices and facilities located in Chesapeake, VA. For more information about Web Design Chesapeake VA – Website Design Chesapeake contact here.